Peter started to play rugby at the age of 16 with Kenmore RFC [Scotland] before moving to Canada in 1966 and taking up residence in Ottawa. Here he was to play for the Ottawa Irish, winning the League Championship and the Montreal 7’s during his time. In 1974 Peter married and moved to Winnipeg where he linked up with the Winnipeg Wasps RFC. Two years later, in an effort to grow the game, Peter, along with Bob Moffat and Geoff Birchell formed a new St. Vital Rugby Club. With many new players from Dakota collegiate, the club was to win a Premier Division Provincial Championship in 1978 along with a Minnesota Tournament Title victory against Palmore College; a rare feat for a Manitoba side. Peter found his way back to the Wasps in 1979 where he proved to be the consummate ‘club man’, doing whatever was needed to grow the game of rugby and support not only the Wasps rugby club, but the young people who were coming to the club at that time. Peter modeled the way for the Wasps membership since his initial season and it wasn’t long before club mates Ed Byard and Geoff Oliver convinced Peter that he could contribute a great deal to the game in other ways as well. Thereafter Peter became a longstanding and notably outspoken advocate for the rugby community serving many terms as Wasps’ President, Vice-President, Treasurer and other Board positions, and multiple terms as the club’s representative on the MGRP Board. In addition, Peter served many years as the rugby coach at Vincent Massey Collegiate, where many of the young men he coached over the years refer to him to this day as “Pistol”. 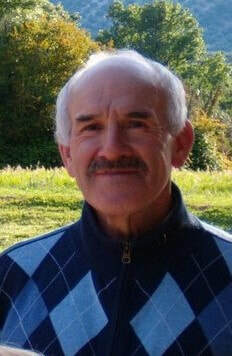 Peter’s rugby exploits over the years included his and the Wasps involvement in many local club activities as well as competitions, the hosting of several touring sides, and his participation in various international tours at home and abroad. Memorable among these were games versus Argentina and Northern Ireland club teams during his days in Ottawa; the Trinidad Royalians RFC tours abroad and in Winnipeg; and an Ottawa Irish Bermuda tour that resulted in 5 games with one loss against the Teachers and a memorable 21 to 20 victory against the Bermuda National team. In those days of the 70’s and early 80’s when few Manitoba born players were truly cognizant of the many traditions and the camaraderie of a sport that flourished beyond the shores of North America, Peter served as both educator and ambassador of the game for many a young Manitoba player.